After a little voting poll on Twitter it was decided that this months Forrest Ramble would look at Social Anxiety Disorder – so here it is, I hope you enjoy it and find it informative. Can you remember a time when you felt really anxious and embarrassed in a social situation? Can you remember how that felt? Can you remember what you were so worried about? I remember giving a presentation to around 100 people as part of a project I used to work on. I’d done public speaking plenty of times in the past and although I got nervous beforehand it wasn’t something that had especially bothered me. However, this time, all of a sudden my legs started shaking and it felt like I had no control over them. Whilst I was trying to give my presentation all I could think of was what a quivering wreck I must look and how people were going to think I was unprofessional. It was awful! Now, imagine if you felt like this in almost every social situation. Constantly worrying about doing something embarrassing, other people noticing that you’re blushing or shaking or sweating. Worrying that you’ll stumble over your words or say the wrong thing. Worrying that people are going to judge you and think badly of you. This is what the world is like for people living with Social Anxiety Disorder. Social Anxiety Disorder can be really debilitating – it can stop people making friendships, finding a partner, going for the job they want, using public transport, going to bars or restaurants etc. Basically, any social situation where there is a possibility of embarrassing yourself can be affected. There can be lots of reasons why people struggle with social anxiety – some would argue a physical cause, others a genetic or perhaps a learned behaviour you’ve picked up from people whilst growing up. 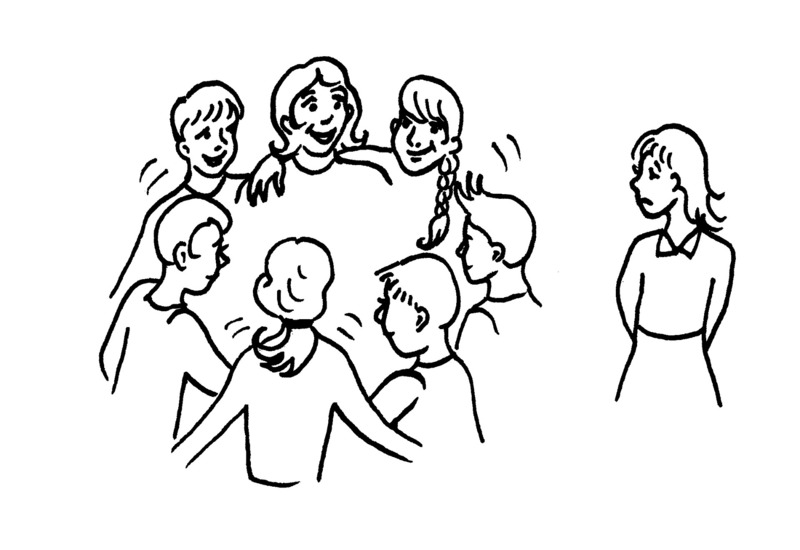 Often, the people I meet with social anxiety have had some bad experiences in the past such as bullying at school or difficulties at work. Struggling with social anxiety doesn’t mean that you can’t socialise, or that you don’t have the skills. It means that the anxiety you feel takes over and makes it very hard to put those skills into practice. This often leads to avoidance of social situations, however this is not the answer as avoidance just feeds our fears and reduces our confidence even further. Another thing that people with social anxiety might do is develop safety behaviours – this is something we’ve come across before in the August Ramble on Panic. These are little ‘tricks’ that help them to get through a social situation such as rehearsing what to say, avoiding eye contact and keeping your ear phones in so people won’t speak to you. The problem with this is that it makes you less approachable and whilst you’re so busy focusing on getting through something you can’t enjoy it. CBT is the NICE (National Institute of Clinical Excellence) recommended treatment for Social Anxiety Disorder. This treatment involves learning more about how avoidance and safety behaviours keep the problem going for you. Looking at the thoughts you have in social situations and challenging these thoughts by gradually coming out of your comfort zone. Treatment can be difficult but I have known many people make big changes to their lives such as getting a new job, making friends and going to University. If you want to break free from the prison of social anxiety then please get in touch!